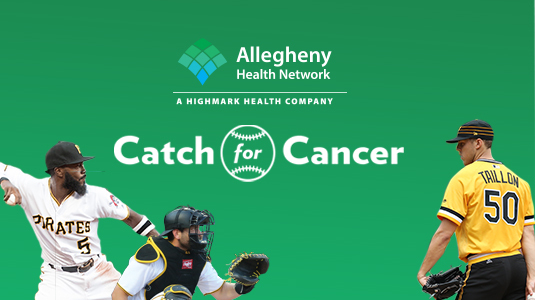 AHN Catch for Cancer - Free Event! 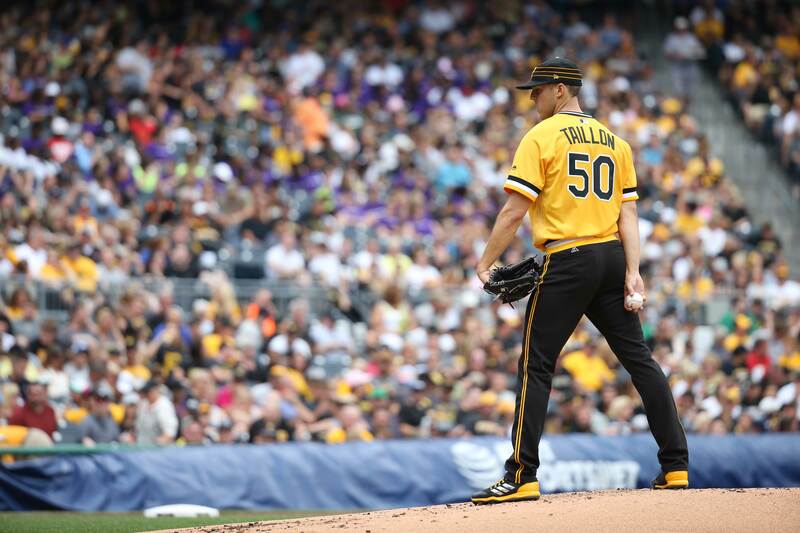 Allegheny Health Network is committed to fighting cancer on all fronts. This September, we’re honoring Prostate Cancer Awareness Month by encouraging men to get their yearly screening. Because when prostate cancer is caught early enough, success rates are nearly 100%. 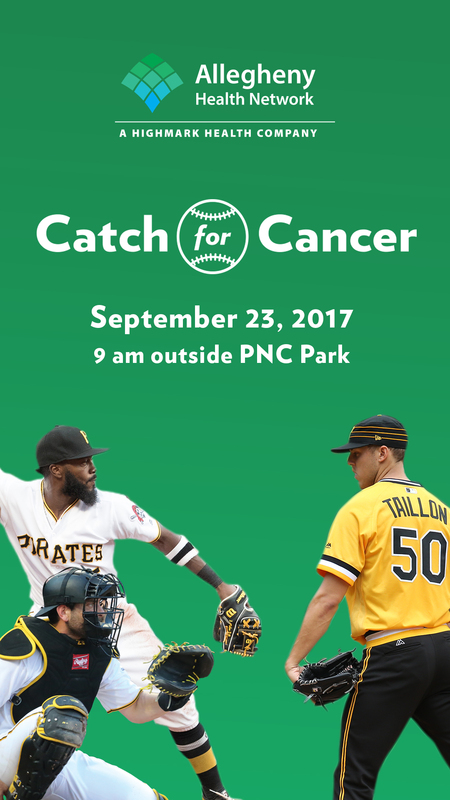 From 9 a.m. to noon on September 23, bring your mitt outside PNC Park to help Allegheny Health Network, along with Josh Harrison, Francisco Cervelli and Jameson Taillon, catch cancer early. 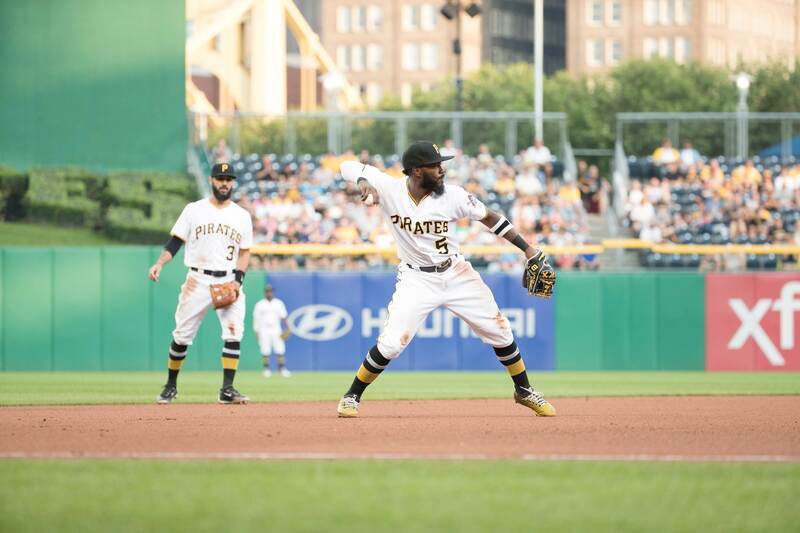 Those in attendance* will earn a chance to win autographed balls, jerseys and photos. 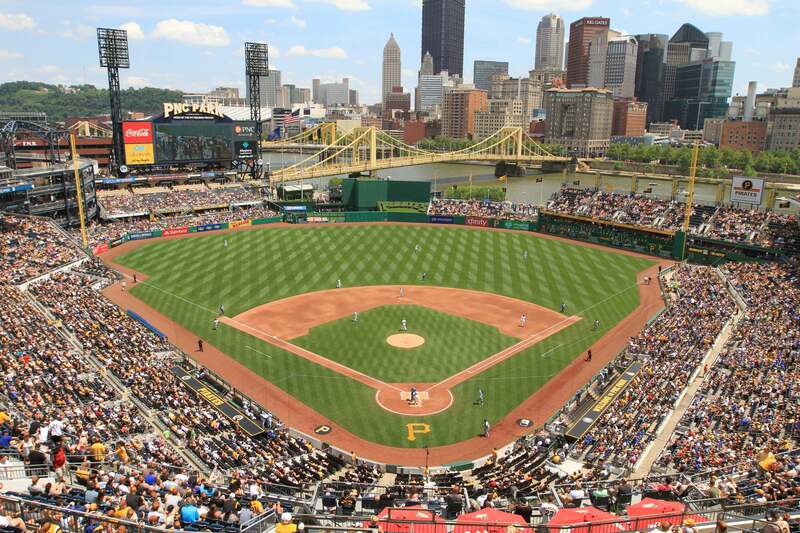 We'll attempt to set The GUINNESS WORLD RECORDS™ title for the Largest game of catch and everyone will receive a commemorative baseball, a Pirates BOGO ticket voucher, and a memory of the time you met some of your Pirates heroes. Please come out and join us at this free event! Check-In: Plan to arrive early to check in. You must be checked in by 10:45 to participate. 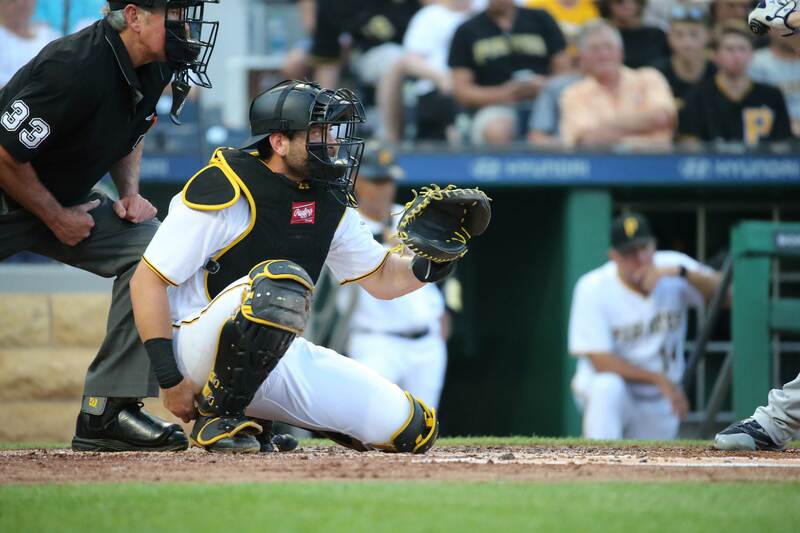 11:00 – Official Game of Catch!